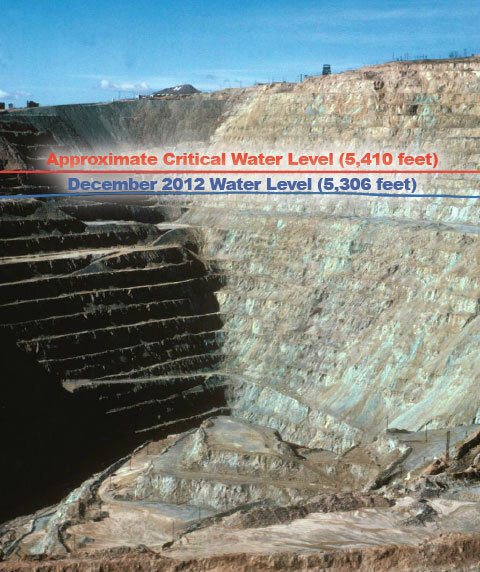 Set by the U.S. EPA and Montana DEQ, the Critical Water Level, 5,410 feet, marks the point where full-scale pumping and treating of Berkeley Pit water will begin. The level represents the lowest level in the Butte Basin, the stream bottom of Silver Bow Creek. It was set to prevent any contamination from moving into surface and groundwater. The critical level applies to all of the monitoring compliance points around the Pit, including the mine shafts and wells shown in “Monitoring locations and water levels” below. The Montana Bureau of Mines & Geology regularly checks water levels at all of these points. 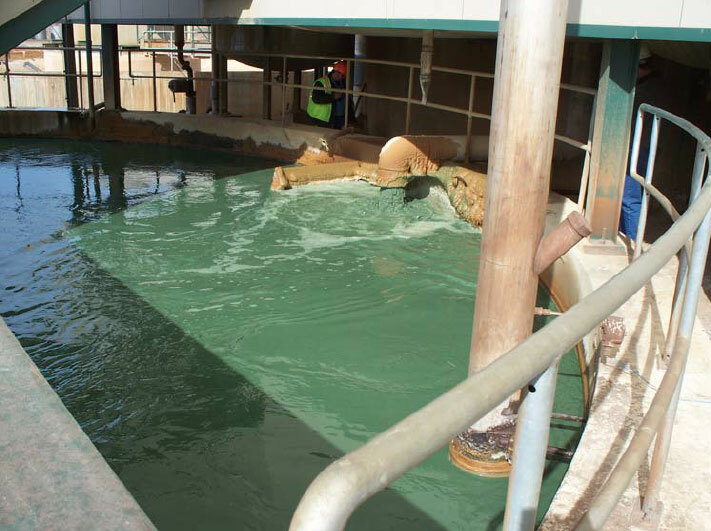 When the water level in any one of these places reaches 5,410 feet, Pit water will be pumped and treated to maintain the water level at or below the critical level. As you can see in “Water levels over time” at right, currently the highest water level is at the Pilot Butte mine. At 5,335 feet, water in the Pilot Butte will have to rise 75 feet before it reaches the critical level. Based on the rate the water is rising, scientists expect the water to reach the critical level around 2023. The Critical Level includes a safety buffer of at least 50 feet. In other words, Pit water would not spread until the water level reached about 5,460 feet. 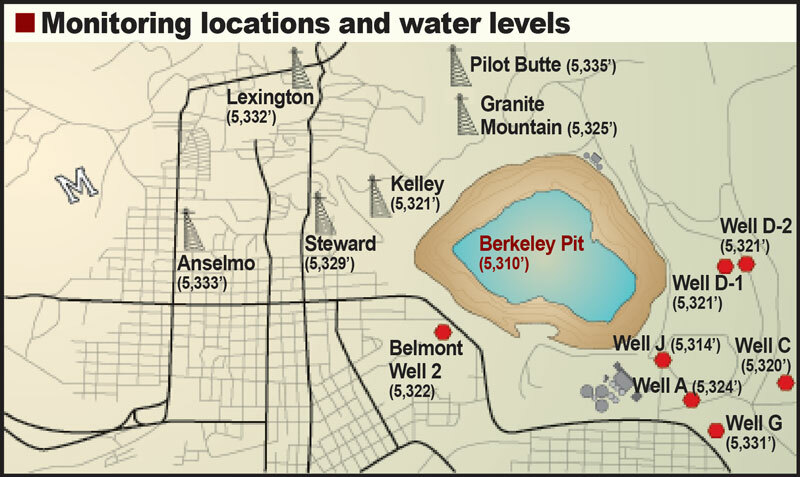 Berkeley Pit groundwater monitoring locations and water levels, including wells and abandoned mine shafts, June 2013. Click on the image to view a larger version.